Only 1 In 4 People Can See All The Colors In This Box. Can You? What color is the sky? Blue, right? But do I see blue the same way you do? Maybe my blue is your pink or my pink is your magenta. It sounds odd, but after the Internet had a full-blown existential crisis over the color of a dress (white and gold forever!) it has become pretty apparent that not everyone sees all the pretty hues present in a box of Crayola crayons. Fewer than 20 distinctive colors: Derval says you’re a dichromat and only have two cones in your eye. Twenty-five percent of the population are dichromats. Yet, don’t fret, you’re in good company — dogs are also dichromats too. Dervals says dichromats have a tendency to wear a lot of black, beige, and blue clothing. Between 20 and 32 distinctive colors: You’re a trichromat. That means you have three types of cones in your eye in the purple/blue, green, and red area. Dervals says trichromats enjoy different colors and can appreciate them. About 50 percent of the population is a trichromat. 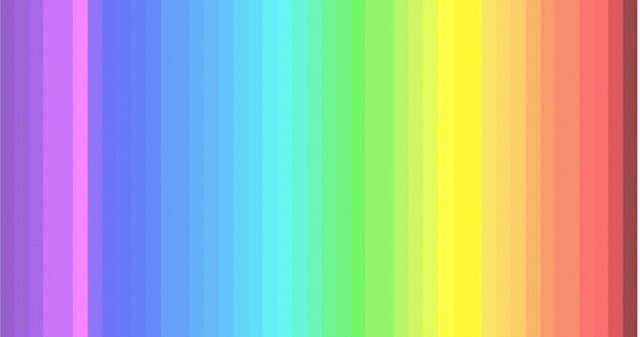 Between 32 and 39 distinctive colors: Just like a bumblebee, you’re a tetrachromat. Dervals says these kinds of people have four types of cones. They also get irritated by yellow and will most likely never wear it. About 25 percent of the population is a tetrachromat. More than 39 distinctive colors: You better count again! Dervals says there are only 39 different colors in the test and probably only 35 are properly translated by the computer screen. How many did you see? Let us know! Please SHARE if you found this test fun and interesting!